Master Control Facility (MCF) at Hassan in Karnataka and Bhopal in Madhya Pradesh monitors and controls all the Geostationary/Geosynchronous satellites of ISRO, namely, INSAT, GSAT, Kalpana and IRNSS series of satellites. MCF is responsible for Orbit Raising of satellites, In-orbit payload testing and On-orbit operations all through the life of these satellites. MCF activities include round-the-clock Tracking, Telemetry & Commanding (TT&C) operations, and special operations like Eclipse management, Station-keeping manoeuvres and recovery actions in case of contingencies. MCF interacts with User Agencies for effective utilisation of the satellite payloads and to minimise the service disturbances during special operations. MCF currently manages nineteen On-orbit satellites, namely, INSAT-3C, INSAT-3A, INSAT-4A, INSAT-4B, INSAT-4CR, INSAT-3D, Kalpana-1, GSAT-7, GSAT-8, GSAT-10, GSAT-12, GSAT-14, IRNSS-1A, IRNSS–1B, IRNSS-1C, IRNSS-1D, GSAT-16, GSAT-6 and the recently launched GSAT-15. MCF, the nerve centre of INSAT system, was set up at Hassan under the Space Segment Project Office of INSAT-1 of Department of Space. Hassan in Karnataka was selected for this facility of National importance based on the studies conducted on various aspects like low electromagnetic radiation noise, wide visibility of geosynchronous arc, etc. The tremendous growth of INSAT system utilisation led ISRO to build and operate more and more satellites. Consequently MCF was augmented to fulfill this national demand and became an independent unit of Indian Space Research Organisation in 1991. In order to support the increased operational requirements, a similar Control Facility was established at Bhopal in Madhya Pradesh which became operational in 2005. 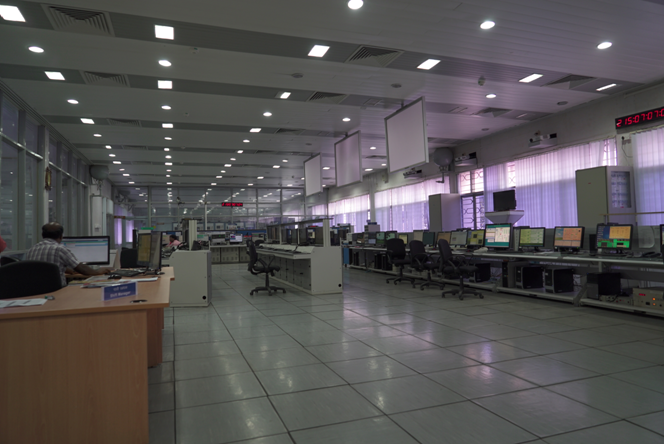 MCF-Bhopal is also operational on round-the-clock basis with major technical facilities, namely, Satellite Control Centre (SCC), Satellite Control Earth Station (SCES) and Power Complex. 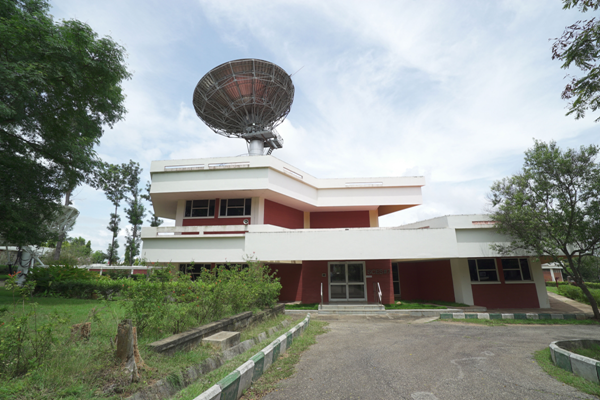 MCF-Bhopal handles the regular operations of three satellites, as well as ranging needs. MCF is the focal point for satellite health monitoring, control, mission analysis, operations scheduling and providing ground support for all geosynchronous satellite programs of ISRO. 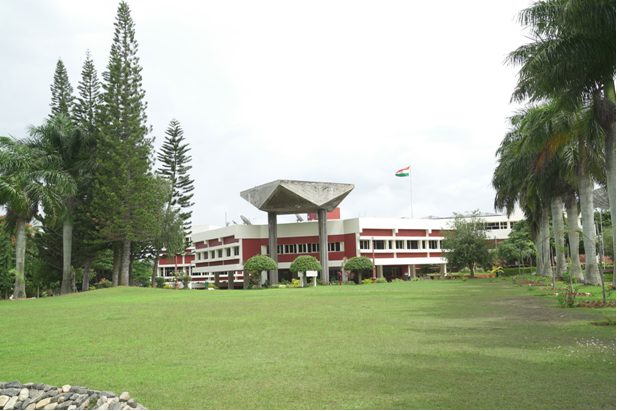 It is an integrated facility, consisting of eight Satellite Control Earth Stations, a Satellite Control Centre, a Mission Control Centre, Network of Computers, Communication systems and Utility Support systems. The idea of domestic geostationary satellites for India was mooted in late sixties by Dr. Vikram Sarabhai. Conceived in 1975, the Indian National Satellite (INSAT) System became operational in 1982 with the launch of INSAT-1A satellite. The INSAT System, established in 1983, is one of the largest domestic communication satellite systems in Asia Pacific Region today. INSAT is a multi-purpose operational satellite system and provides nationwide TV broadcasting, domestic long distance telecommunications, meteorological observations and data relay, as well as Radio Networking. The use of TV for education and development, remote area and rural area communications, meteorology and disaster warning has achieved a conspicuous success in the last 32 years of INSAT services. MCF provides telemetry, tracking and command operations of INSAT, GSAT & IRNSS series of navigation satellites, and supports operations in all the phases of a satellite mission. MCF acquires the first signal from a satellite immediately after its separation from the launch vehicle. Critical activities are carried out on each satellite which include firing of its main liquid rocket engine for orbit raising, deployment of antennas and solar panels which are in folded condition during launch and elaborate testing of payloads. So far, MCF has supported 26 successful launches, receiving signals within minutes after the launch. Usually, the satellite will be positioned to its assigned orbital slot within a few weeks of launch. From then on, the spacecraft is monitored and controlled all through its designed mission life. The health of various subsystems of a satellite is collected and transmitted by the satellite to the ground station, which is known as telemetry. These health parameters convey the status of the satellite like power generation, propellant usage, temperature at different locations, pressure of fuel tanks, angular information with respect to Sun and earth, etc. Each satellite will have around 800 such health parameters. The big antennas at MCF (14 m, 11m, 7.5 m diameter, etc. ), look towards the satellite and pick-up telemetry signal. A network of computers process the telemetry signals, and presents the data in the form of text and graphics in real time. To maintain the satellites in good health, a constant monitoring of all these functions is essential. MCF has dedicated computers and highly skilled and trained spacecraft operations crew working round-the-clock. A team of experts reviews the satellite health data, and provides valuable feedback to designers. After launch, instructions to control the satellite are sent via high frequency radio waves from the control centre, which is called Telecommanding. A number of functions like ON/OFF of a system, to program the satellite on-board computer with a set of instructions, to switch on the camera for taking earth images and so on, are carried out through telecommanding. Around the equinox (March 21 and September 21), a geosynchronous satellite passes through the shadow of earth around midnight local time for 45 days centered on the equinox. The largest eclipse is for 72 min, and the onboard battery discharges to provide electrical energy during this period. A close and continuous watch of battery performance is done at MCF and batteries are properly conditioned. Due to the attraction of the Sun, Moon or because of the solar radiation pressure, the satellite’s orbit experiences disturbances. These deviations are determined using ranging and tracking data, and are corrected periodically. This process is called station-keeping manoeuvre. The orbit deviations are restricted to less than +/- 0.1 deg. GSAT-15 was successfully launched onboard Ariane 5 VA-227 on November 11, 2015, 03:04Hrs (IST) from Kourou, French Guiana. GSAT-15 is the twenty sixth geostationary communication satellite of India built by ISRO. This satellite is intended to serve high power Ku-band communication applications, and GPS Aided Geo Augmented Navigation (GAGAN). MCF at Hassan took over the command and control of GSAT-15 immediately after its separation from the launch vehicle. Preliminary health checks of the satellite revealed its normal health. Subsequently, MCF performed the initial orbit raising manoeuvres by repeatedly firing the Liquid Apogee Motor (LAM) on-board the satellite for a total duration of around 8566 seconds. GSAT-15 will be finally located in the circular Geostationary Orbit at 93.5 deg East longitude along with INSAT-3A and INSAT-4B. In-Orbit Testing of GSAT-15 is scheduled during the 3rd & 4th week of November 2015 after which the satellite will be ready for regular usage. GSAT-15 payload is configured to provide high power Ku-band transponders. The GAGAN payload operates in L1 and L5 bands providing the navigation services to users located anywhere in India. GSAT-15 is the third satellite to carry GAGAN payload after GSAT-8 and GSAT-10. GSAT-15 also carries a Ku-band beacon to help in accurately pointing ground antennas towards the satellite.